Earlier this month, a buddy sent game developer Ben Esposito a surprising screenshot: an Instagram ad for a game that looked a lot like the one he'd been working on for five years. 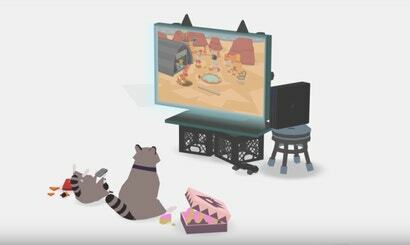 Esposito is nearly finished toiling away on an indie game called Doughnut County, which will be released later this year by publisher Annapurna Interactive. At the tail end of this labour of love, now a copycat game called Hole.io is number one on the iOS store, and Esposito feels the need to say something.